These days there is some amazing technology available in the contact centre but you don’t always need the shiny new toy to deliver a better customer experience. In fact, there is there is something every contact centre should have that won’t cost a cent! And despite all the sales & marketing spin out there, sometimes just the most simple things can be the most effective. In my travels, I haven’t actually seen this in many contact centres but when you see it I’m sure you will want one in your contact centre immediately! So what am I actually talking about??? Its the universally recognised “A for Alpha B for Bravo” alphabet to improve data accuracy sometimes known as the Military Alphabet. By displaying the phonetic alphabet in your contact centre on the wall or providing each agent with a small card you can ensure your agents (sometimes embarrassingly) never have to resort to making up their own words such as C for Cat or I for Igloo or worse still, R for Wright or N for Knight! 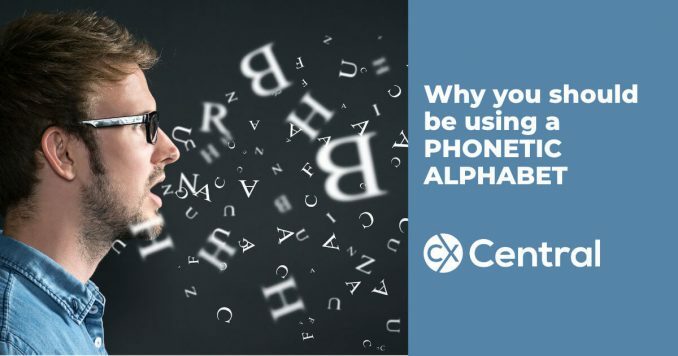 Why use a Phonetic Alphabet in the contact centre? It will reduce your talk time (which reduces costs). It will reduce the number of mistakes made with data entry. It will make your centre sound more professional. It will make it easy to communicate with customers. It really is a simple initiative that can assist in making your staff sound more professional and improve your data quality in the process. Learn more about a phonetic alphabet and download a free template that you can use in your call centre.